Kristin and Derek married on a beautiful September day, not far from where they call home, at the gorgeous Mettler Family Vineyards in Lodi. Earlier this year, Kristin made my day when she contacted me asking when “I” was available to photograph her marriage to Derek. They were checking my schedule before they booked their venue. I’m lucky to be a photographer but even more lucky to have appreciating clients like her. Such an honor. Having captured the weddings of both her sisters, Courtney and Erin, I was excited to get to tell the story of the final Zgraggen wedding celebration. This is a great family and I thought, I can’t wait to meet Derek – he must be pretty amazing. And he is. Warm, honest, funny with a slightly quirky sense of humor AND can tear up a dance floor. After meeting the two of them in the mountains for their engagement session this summer, I quickly saw their connection to each other. 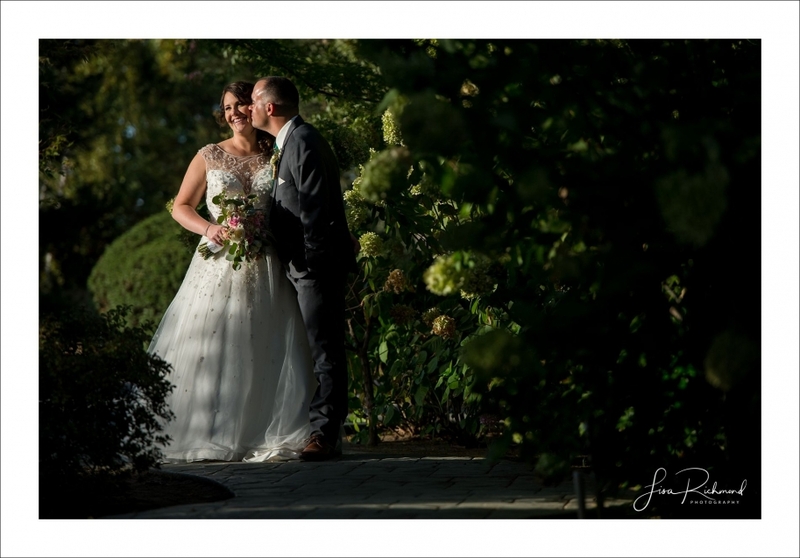 There was so much loveliness at this wedding, from the weeping willows over the pond at the venue, to the fresh and colorful cuts of florals everywhere, to Kristin’s amazing dress, to the shotgun shell boutonnieres. Kristin and Derek’s super cute niece and nephews kept everyone laughing not knowing what might happen next while friends and family filled the grounds with warm smiles and hugs. It seemed there wasn’t anything missing. Well, except one thing, one very important thing. A sister and a bridesmaid. Kristin’s sister Erin gave birth to a beautiful baby boy, Lincoln Raythe day before the wedding and was unable to attend. How about that for timing? However, thanks to iPhones and modern technology, Erin had a front seat to watch her sister tie the knot with Derek. After a beautiful ceremony, Kristin and Derek strutted down the aisle to begin their married lives together and to get their party started. Two days later this couple arrived in Banff, Canada to spend some time settling into married life while enjoying the great outdoors. Congratulations you two! Enjoy your blog post- you’ve been so patient. Thank you. I was fortunate to have a fabulous team working with me. The talented Erin Miller, second photographer, captured amazing moments and gorgeous details all day long and Dante Cairns, my youthful and creatively inspired assistant, kept BUSY helping both of us while also making good friends with the little ones.